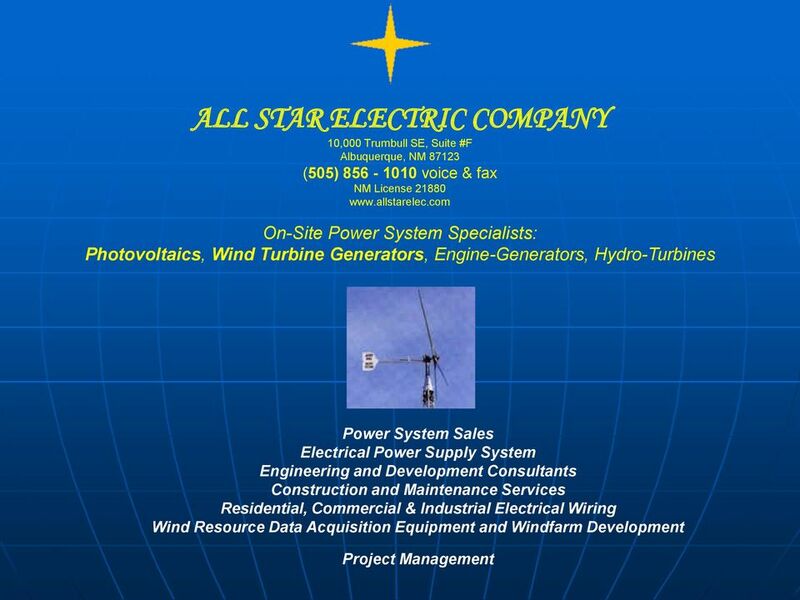 Download "ALL STAR ELECTRIC COMPANY 10,000 Trumbull SE, Suite #F Albuquerque, NM 87123 (505) 856-1010 voice & fax NM License 21880 www.allstarelec." 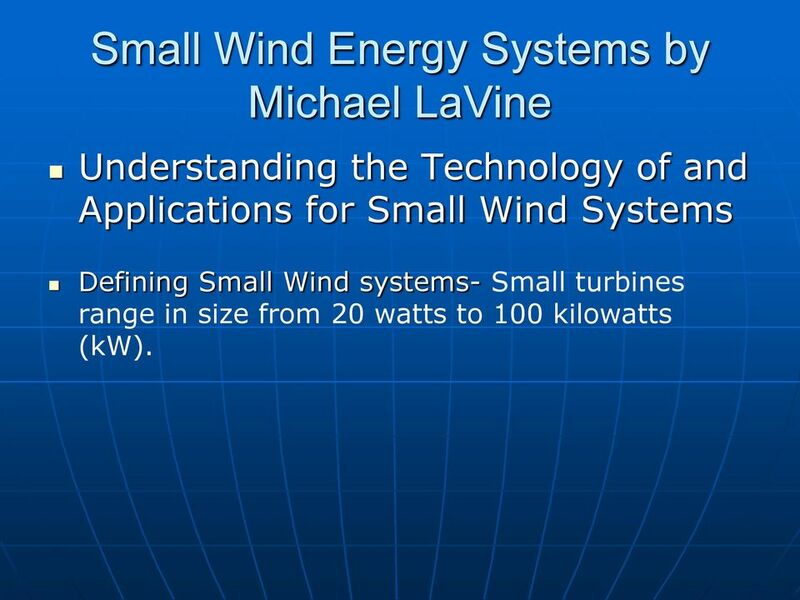 4 Small Wind Energy Systems by Michael LaVine Understanding the Technology of and Applications for Small Wind Systems Defining Small Wind systems- Small turbines range in size from 20 watts to 100 kilowatts (kw). 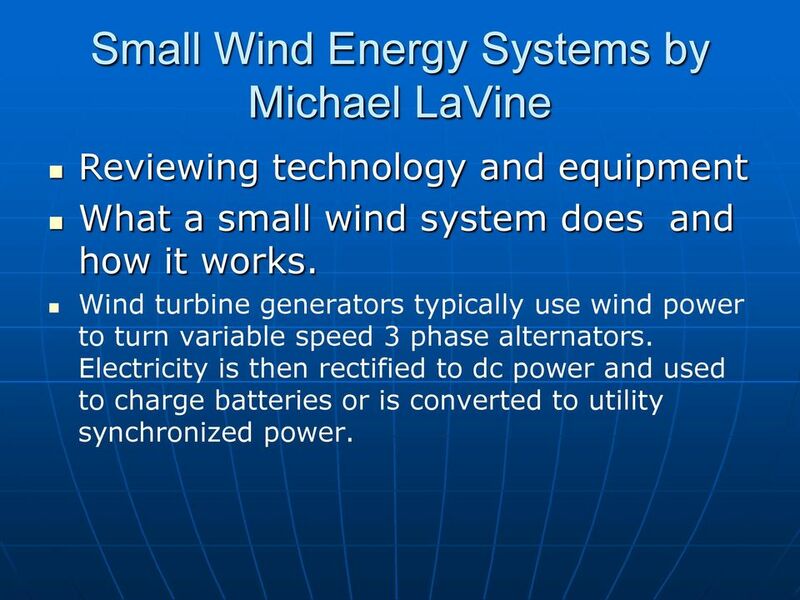 7 Small Wind Energy Systems by Michael LaVine Reviewing technology and equipment What a small wind system does and how it works. 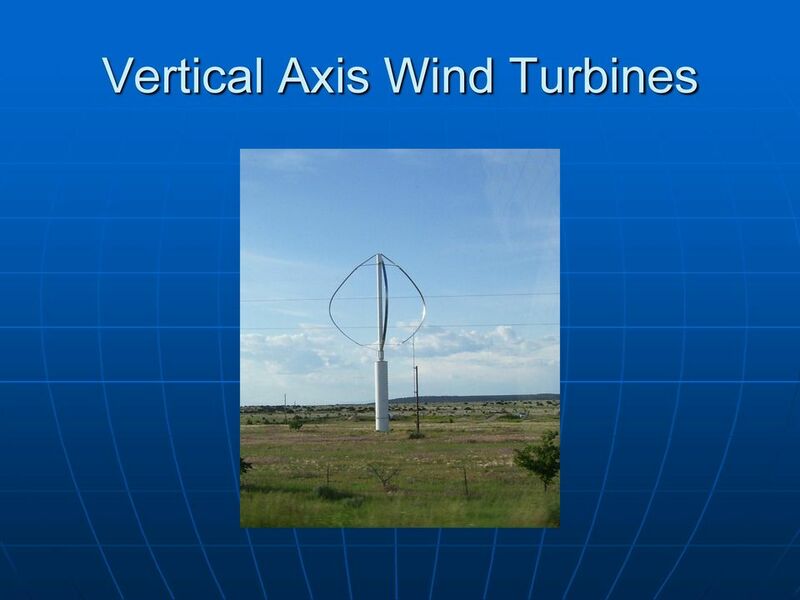 Wind turbine generators typically use wind power to turn variable speed 3 phase alternators. 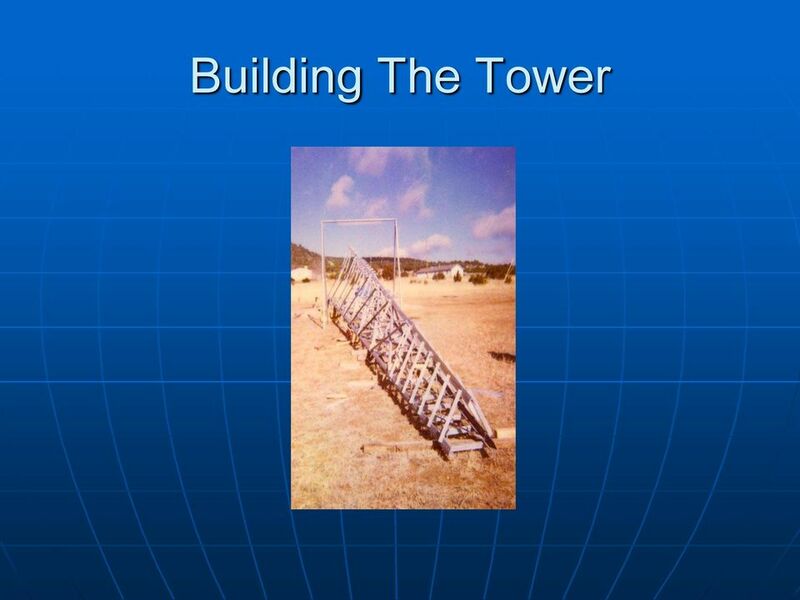 Electricity is then rectified to dc power and used to charge batteries or is converted to utility synchronized power. 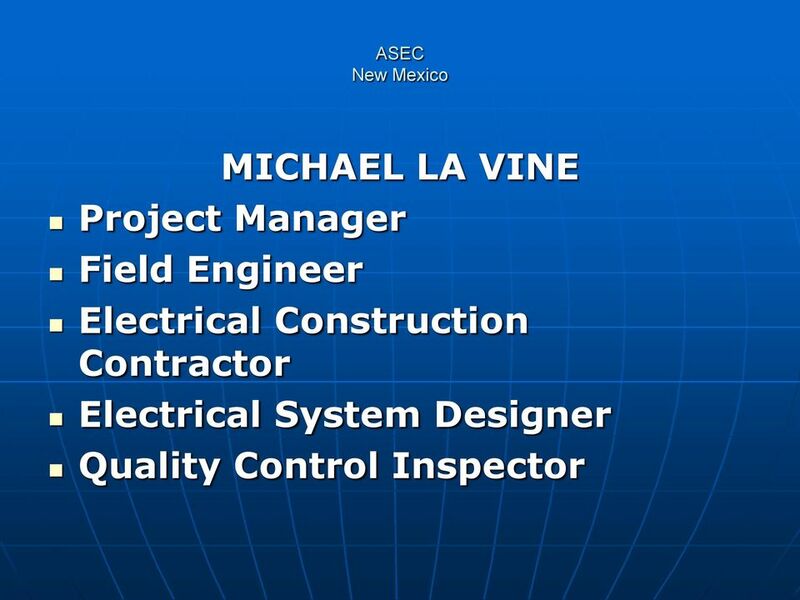 28 Small Wind Energy Systems by Michael LaVine Professional consulting services & design engineering, project management, & resource development; specializing in on-site electrical power supply systems. 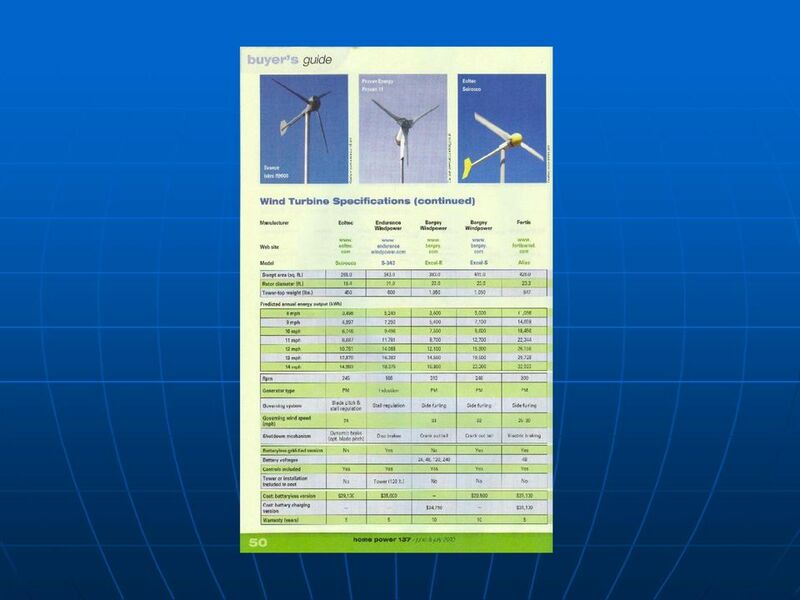 Evaluate the site for the availability of solar and wind energy. 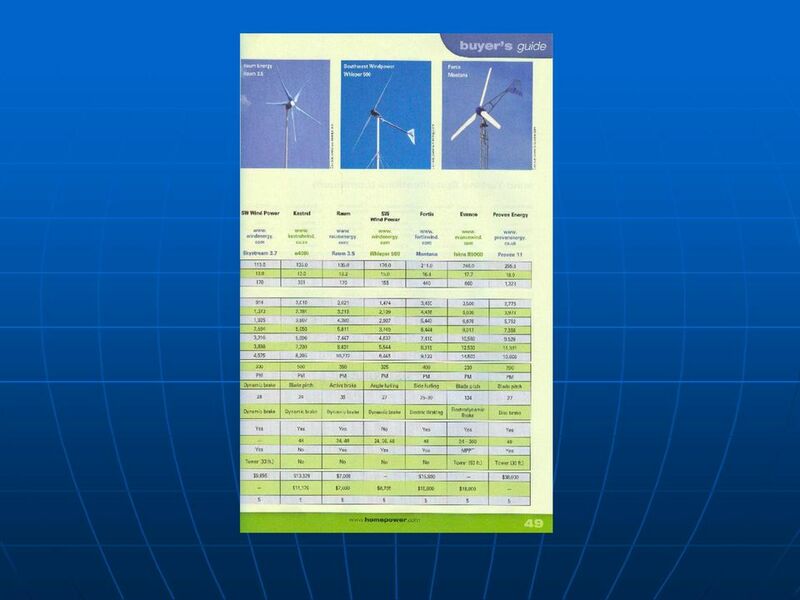 Compile a load analysis and analyze the selection of energy efficient appliances. 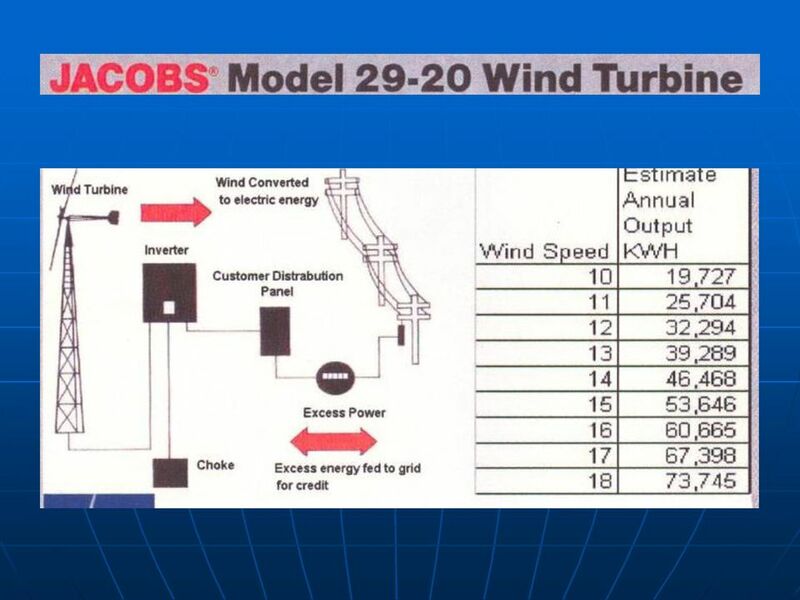 Aid the decision making process for the consideration of the power system options which are: utility supplied power, gas generator power, or solar (photovoltaic) &/or wind electric power. 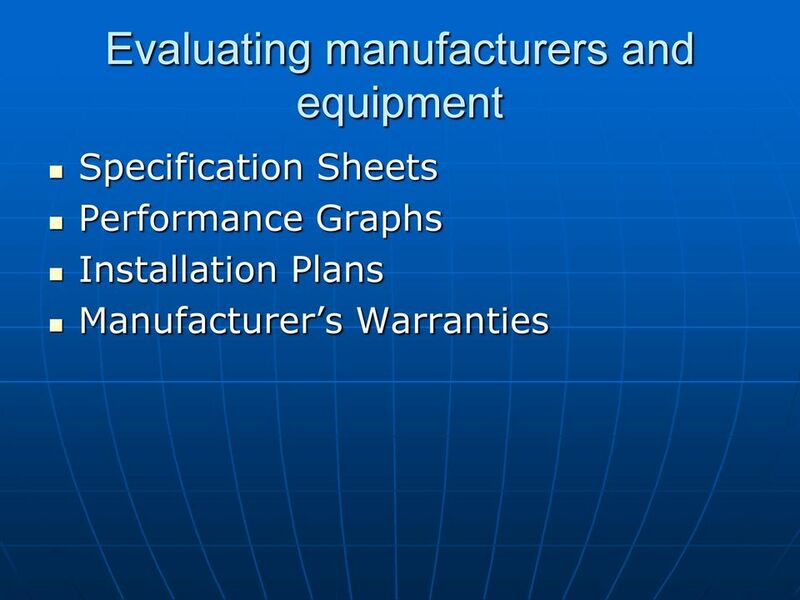 Evaluate the power system options and select the power system with the most long term economic benefits. 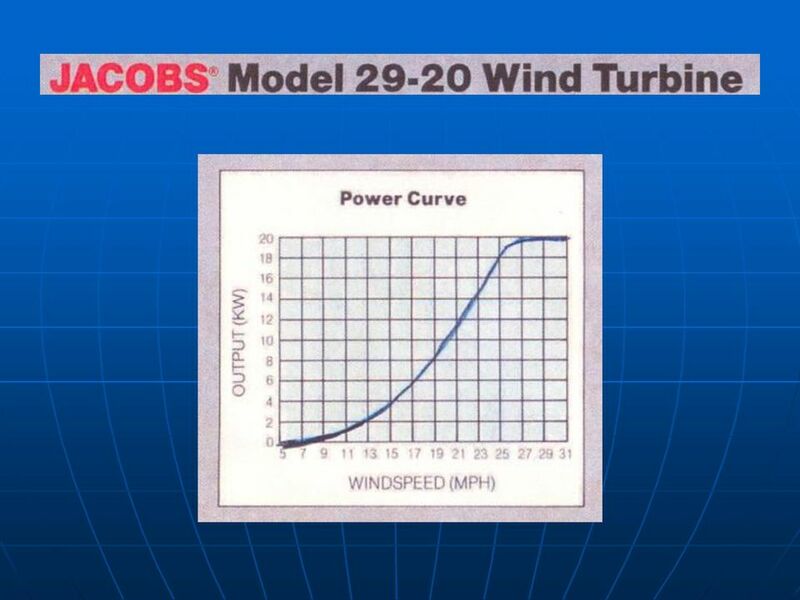 Design, procure, install your residential, commercial, or industrial power system. 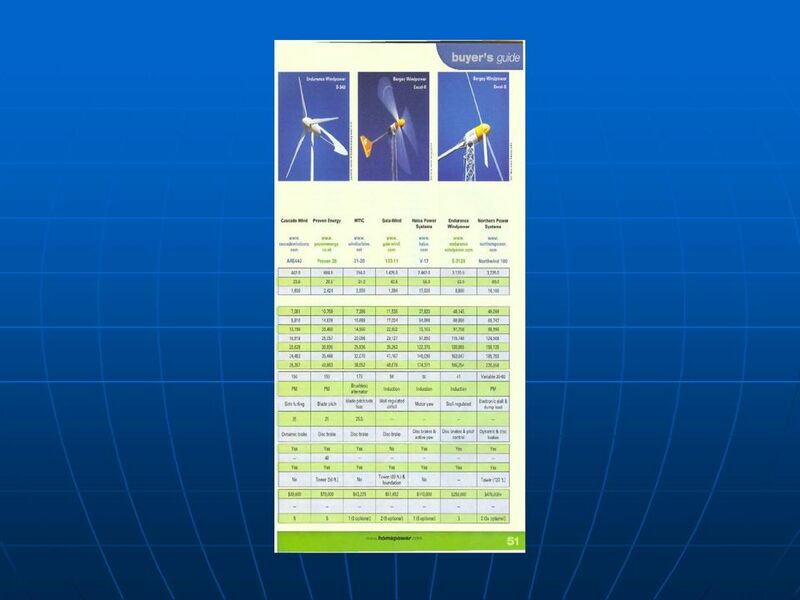 32 Resource Identification Resource identification is an important design tool that enables us to project annual wind generator output and to specify the best equipment for your site and your needs. 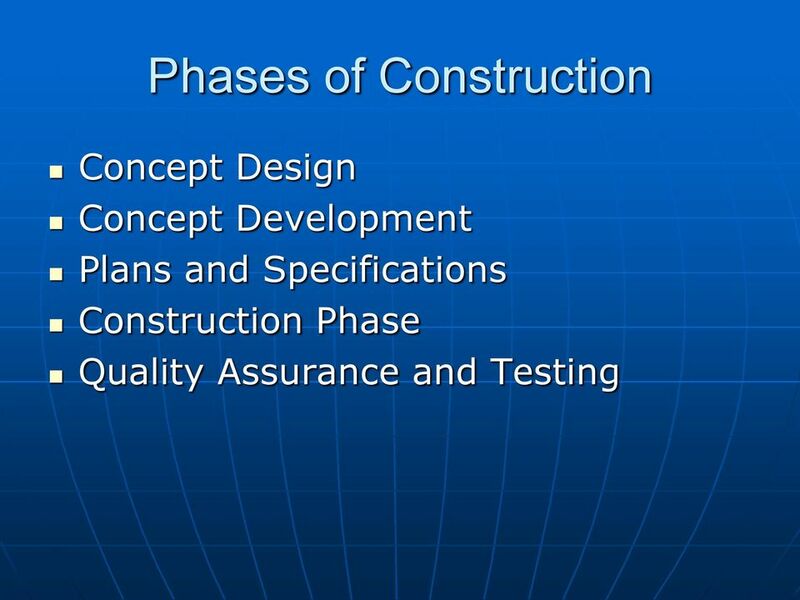 Good information leads to good design. 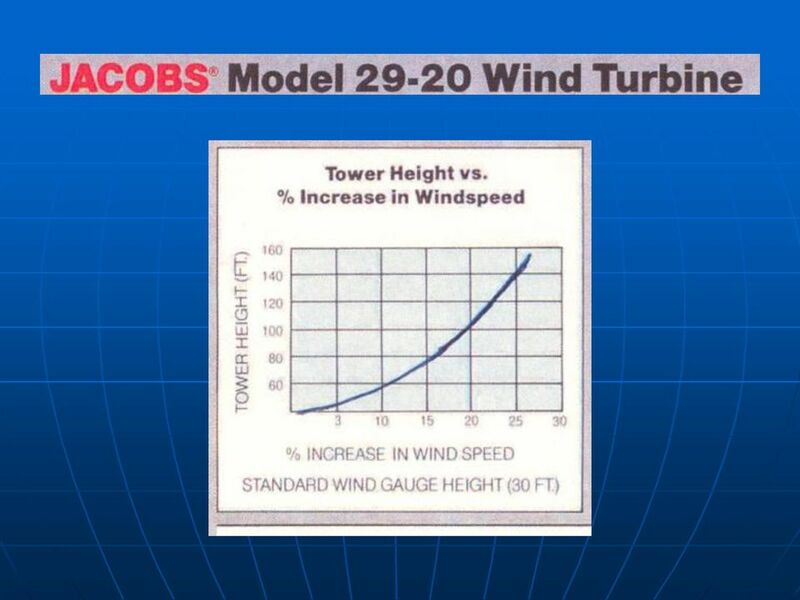 Flagged foliage is an indicator of high predominant winds and demonstrates a high potential for electrical generation with a wind generator. 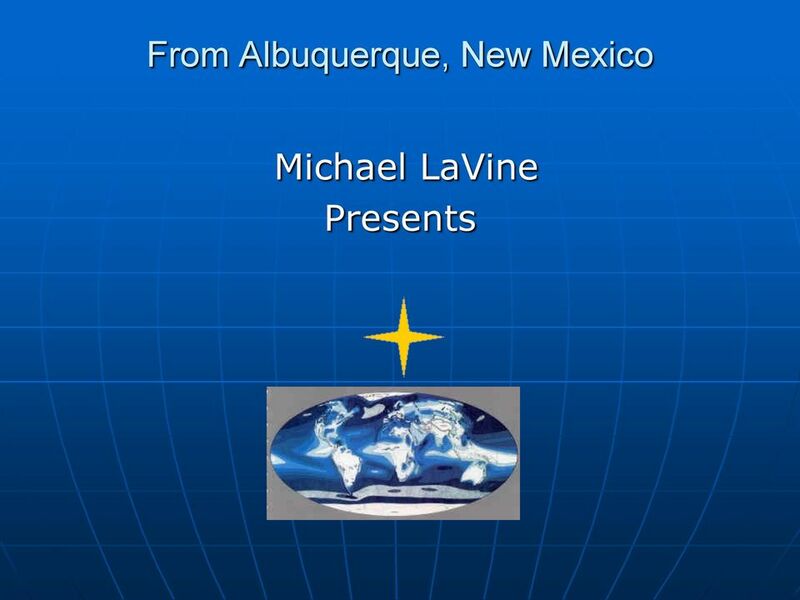 Other sites are promising, but may not be as well indicated. 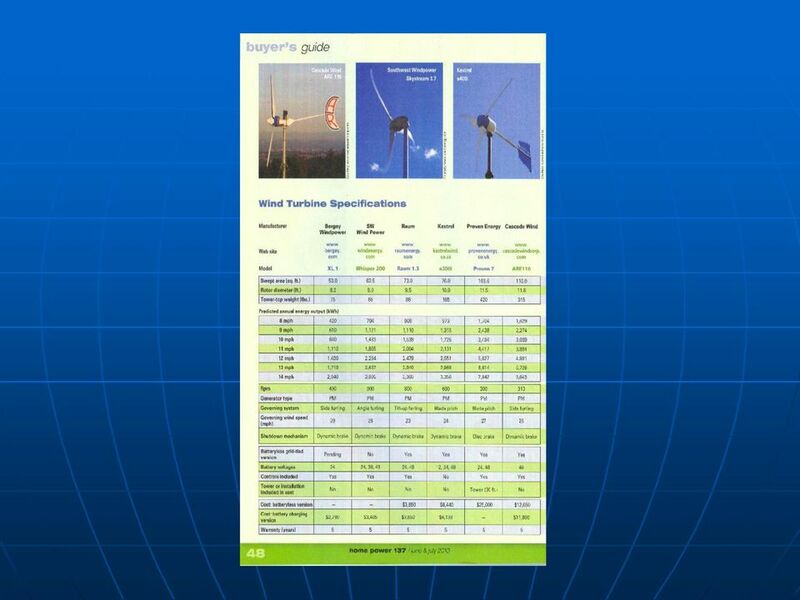 Wind data is available for popular sites, however, since each site is unique, data gathering is typically required. 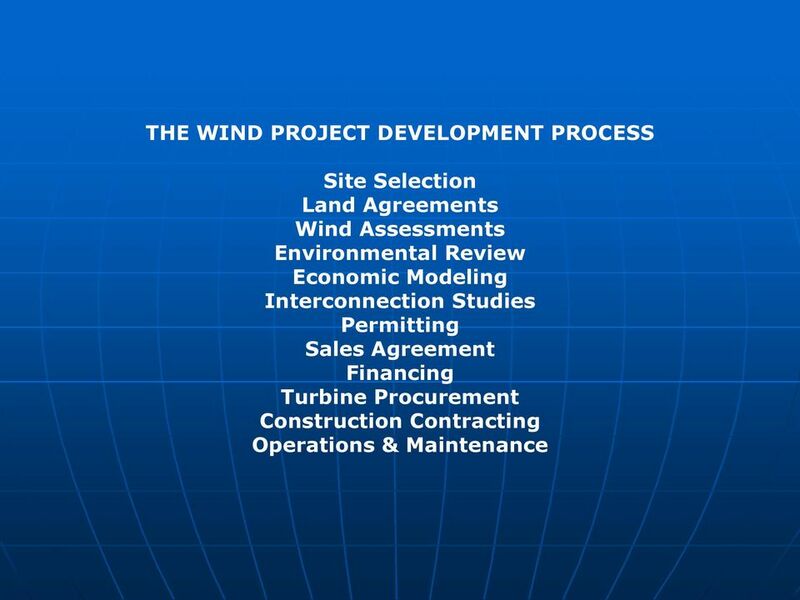 To be the most thorough, a year of wind data is desired. 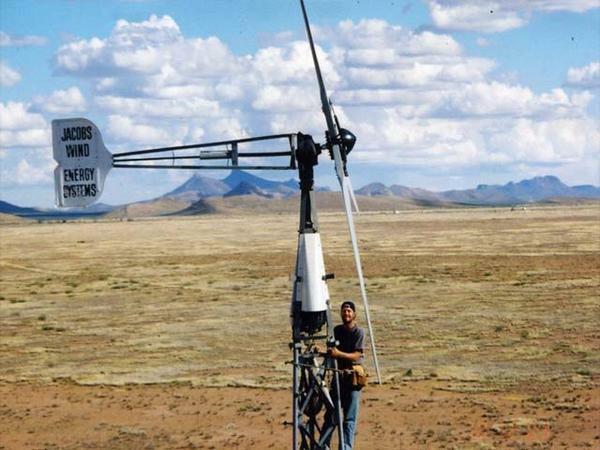 33 Resource Identification Regardless of the application, the use of statistical tracking technology is recommended previous to and after the installation of a wind generator. 46 Mechanical Appropriate Technology for Off- Grid Home Design Gas space heating with wood burning stove. Solar hot water system with gas hot water backup. Gas stove or clothes dryer. 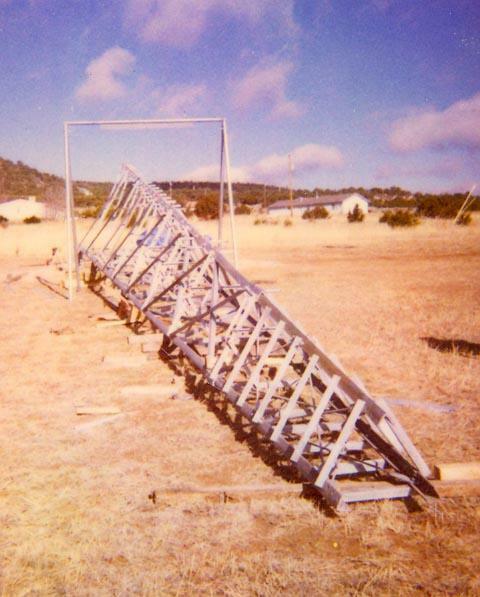 PV water pumping. Composting or low flush toilets. 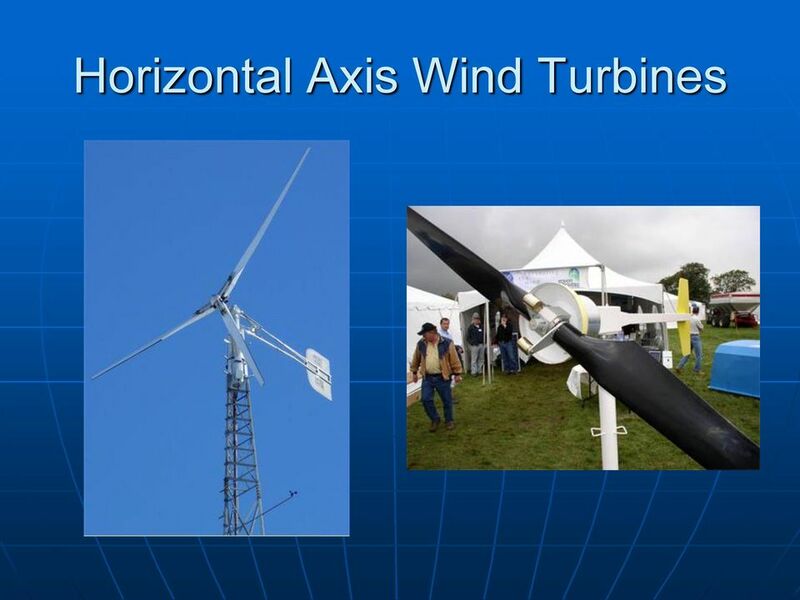 Electrical Solar &/or wind electric system for charging batteries. DC to AC inverter for conventional AC appliances. DC wiring of house for lighting & water pumping. 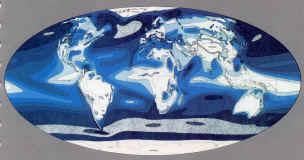 High efficiency & long life fluorescent lighting. Remote display for system status & control for transfer switch (in kitchen area). Backup engine generator (optional). 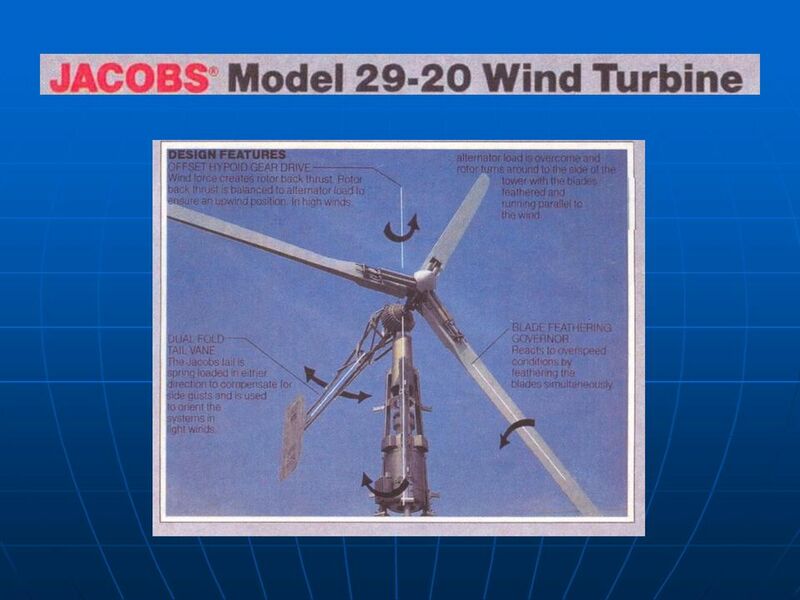 High efficiency appliances. Rebates are available on a first come, first-serve basis. 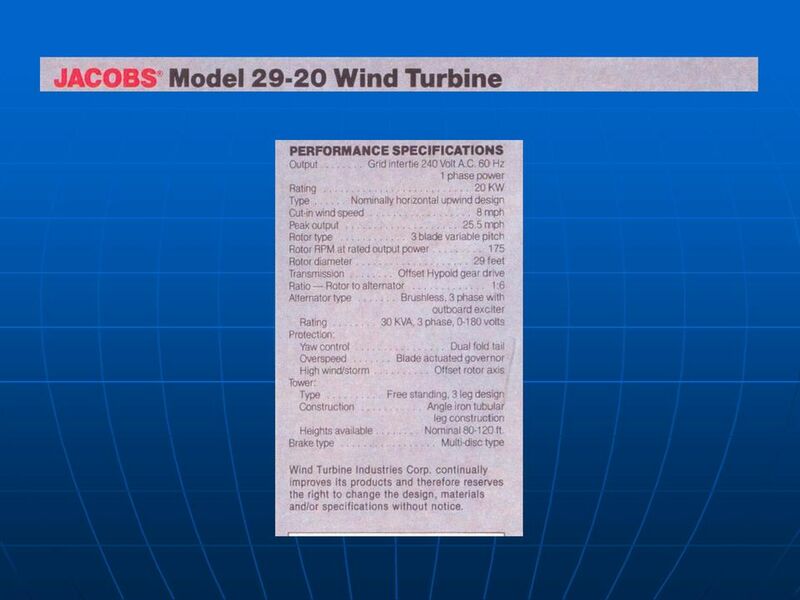 There are a limited number of rebates available in 2010. Confused about tax credits for home energy efficiency improvements? This page should help.